Flying Ad-Hoc networks (FANET) are the extended paradigm of the mobile Ad-Hoc networks and, perhaps, one of the most emerging research domains in the current era. A huge number of tangible applications have been developed in this domain. The main advantages of such networks are their easy deployment, scalability, and robustness. However, the sparseness of these networks is an inherent characteristic that is known to be a bottleneck. 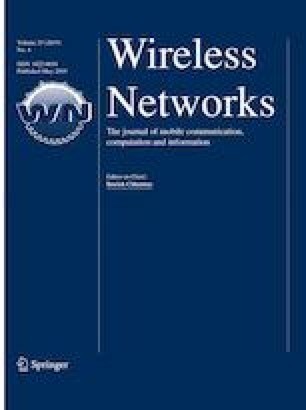 The main objective of this work was to provide an alternative solution for the intermittently connected FANET by considering the philosophy of the Delay Tolerant Network (DTN) approach. To realize the functionality of the DTN protocols in a three-dimensional (3D) space, a social FANET model is proposed. FANET nodes are supposed to have a sparse node density. Fundamentally, the proposed DTN assisted Flying Ad hoc Network exploits the DTN routing and mobility features. The new mobility modeling for 3D spaces was re-engineered and tested with well-known routing protocols to analyze the performance of the model based on node speed, density, buffer, latency, message overhead, and power consumption. The effectiveness of 3D mobility models has also been compared against the one of classical models. The obtained results reflect a significant enhanced performance of the suggested DTN protocol for sparse FANET in a social scenario. Salem, A. O. A., Samara, G., & Alhmiedat, T. (2017). Performance analysis of dynamic source routing protocol. arXiv:1712.04622.